Discussion in 'THE AIGBURTH ARMS' started by Pembers, Mar 15, 2019. One of my most favourite people, on and off here. A really nice person with a heart of gold and a great sense of humour. Happy birthday, @Nikki the Great. So Neil, Cloud and Nikki all have birthdays within a few days of each other? Oh yeah it might be Monday actually. Everyone ignore this till Monday. I've put the party poppers back into storage until Monday. @Nikki the Great profile → Ignore button → press. The party poppers are back out. Kittypaws and Underdunn like this. Happy birthday, @Nikki the Great!!! Alga Cold 400 years old Today!!!!!!!!!!!!!!!! Congratwealapodes!!! 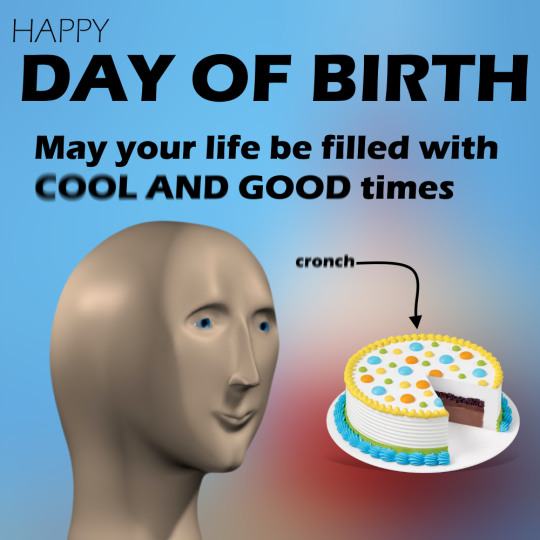 Alga Cold wishbirthday on this todayabadodes!!! 4 hes a jolly good alien and so staff all with Spacepodes!!!! !